Today, in America, we celebrated a number of things, the least of which is the taking of the lands of my ancestors without any rhyme or reason, except for the fact that the white man wanted it. Thanksgiving: it’s a mixed-feelings kind of day for me. As an orphan, it’s a day that I spend with my real family, the ones who have been here for me for more years than I care to count, and for more momentous occasions than I am able to count. I can’t be in every single place at any one time, so I send good thoughts to those I can’t be with, and appreciate those I am able to be with, each and every moment. The concept of family is a fluid one in my opinion, and on holidays, I’m often reminded of how much we have and more often, how much we do not. While I’m no vegetarian, I appreciate our lands, our farmers, our providers, the Earth. I appreciate those who work diligently to ensure what we put into our mouths is the best quality, the most nutritious, the tastiest. This is but one reason why I’m grateful today for the 100% Belge/Cent Pourcent Belge movement. I’m sure you recall that I’m an SPG girl through and through, and that last Thanksgiving, I spent a scrumptious evening with the American Club of Brussels and the fabulous staff at the Sheraton. That night burned a hole in my memory, and since then, I itched to return. The constant thought was that if Chef could handle a truly magnanimous American invention, what else did he have that I could sink my teeth into? After last year’s Thanksgiving extravaganza, I kept up with the fabulous Palmer, a fellow SPG lover, and, knowing how much I love new food experiences, he invited me to a club sammich tasting with another blogger. Unfortunately, I wasn’t able to make it, so I took a rain check …. and boy am I glad I did. 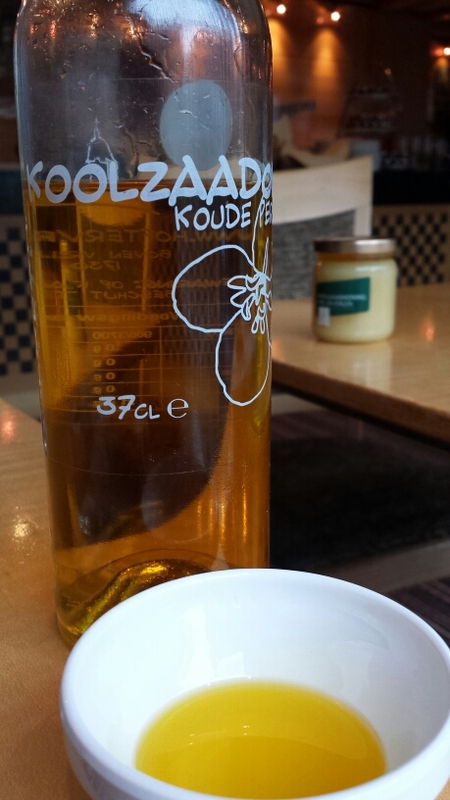 We started out with 100% Belge butter and rapeseed oil (Koolzaadolie Koude Persing), with soft-centered, slightly crunchy, perfectly salted homemade rolls. 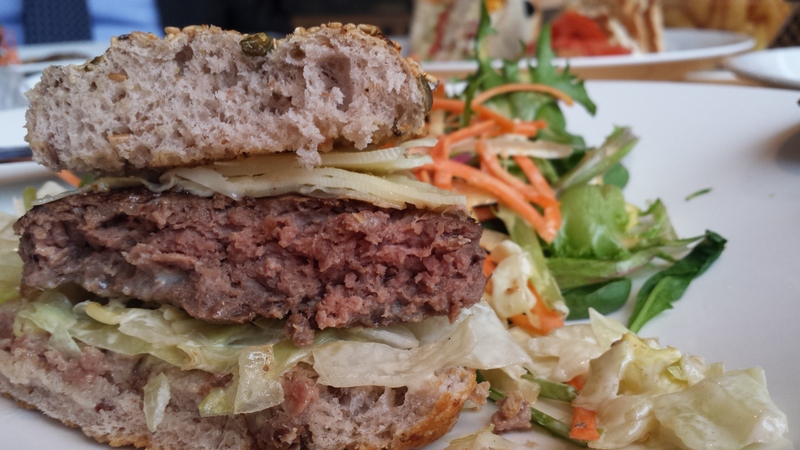 Next, we moved into a double-header: a twist on their 2013 Best Club Sandwich in Brussels Award-Winning Signature Club Sandwich, aesthetically inspired by bales of hay, and then the most amazing hamburger I think I’ve ever had in my life. (Sorry Company Burger, Port of Call and every family member who’s ever made me a hamburger 😉 ). Now, I know you trust me when I say that it was the best hamburger of my life. 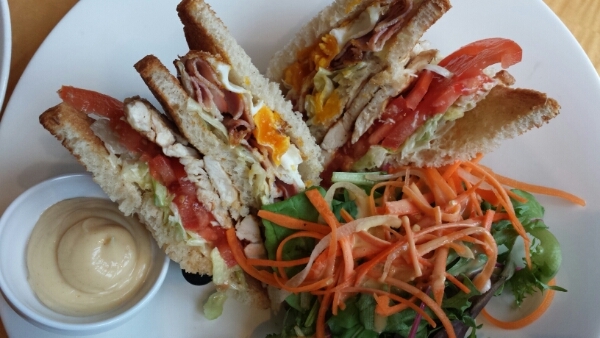 But first, before we go there, let’s talk about that club sammich. A double decker after my own heart. I’m not certain I’ve ever had egg on a club sammich before, but this, this was fresh turkey and smoked ham, tomatoes and grilled chicken on lightly-toasted bread – a nice concoction of crunchy, soft, smoky and chilled, with a hint of warm. Although I wasn’t able to get the signature award-winning version wrapped up in a little bundle of love, I did enjoy this version. It met all of the basic needs requirements, while adding in a few special touches. I would certainly order it again, but, honestly, if I had to choose between this and the burger, then hands down, I’d choose the burger. So, before we go any further, I think it’s important to tell you something about this hamburger: the cow that this burger came from … it’s their cow. Yes. You read that right. Their. Cow. 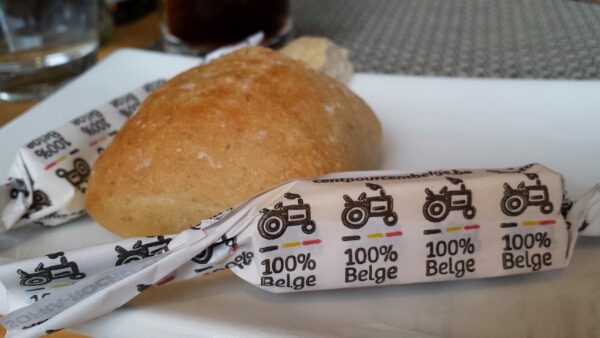 Chef has taken this 100% Belge movement to new heights. They found a local farmer who specializes in raising quality, bio cattle. They promised to buy one cow, with the goal to use every part of the cow. No waste. Every part. What does this mean? It means that sometimes, you will get a new option on the menu, something that Chef wants to make, something new for you to try, something that will give you the opportunity to experience and honor a living being that was raised for you. Let’s pause for a moment. Now is about the time when I feel guilty for the animal, and acknowledge that some of my readers will protest the process, and for that, I’m sorry. I’m not going to stop eating meat, at least not for now, and I know most of you know that when I’m in Brussels, I’m mostly vegetarian (not that this fact excuses the way many animals are treated and bred simply for inhumane slaughter). But what I care about most in Chef’s process is that he actually wants to honor the animal, he wants quality, he wants us to care and experience and appreciate what we have – something we can only do if we allow ourselves the opportunity. So, with that, I say, take a moment to think about what you love in life. Give thanks for what you have, and if you are ready to experience and appreciate something new, then by all means, take a moment to run over to Sheraton Brussels and let Palmer and Chef know I sent you. Happy Thanksgiving, everyone. Be thankful for what you have and honor those who are gone. Live each day to the fullest. When I made plans for this lunch tasting, I did so with the full intention of paying for my meal. As SPG lovers unite, though, we tend to become guests in the others’ home. So, I’ll pick up the next bill, but in the meantime, to be clear, I was not paid for this post. Every word is my own, and in the interest of time and space, I was not able to include all of the amazing work Chef is doing and has done, but I will try to throw in some tidbits here and there in future posts. 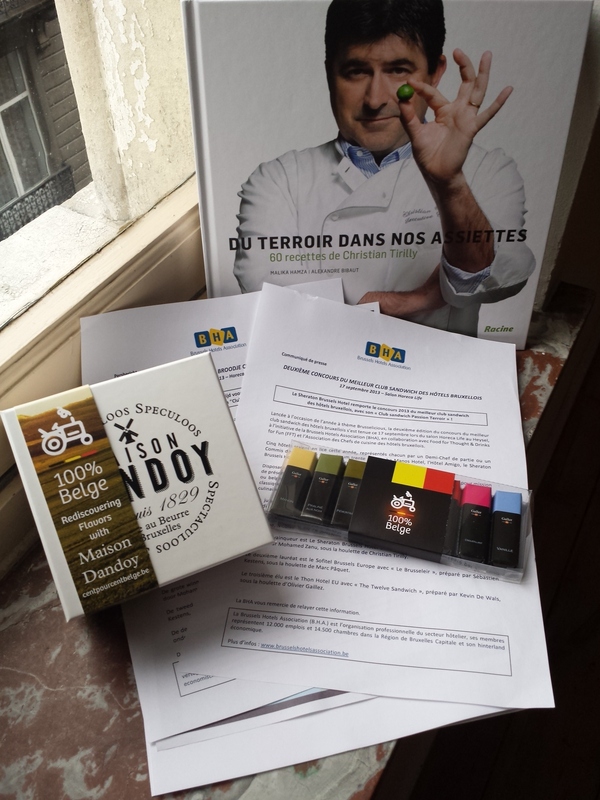 So, here’s a little peak at my goodie bag (YAY Maison Dandoy and Galler! ), and once I’m done with his book, I say we get some #BxlFF lovers together and SPG this baby up by busting out some of Chef’s recipes. Who’s in?